Shinkawa's Scizor! Pokemon One a Day, Series 2! Systems are go - (EK) SC-ZR is online!!! 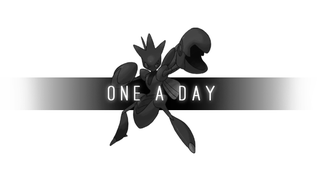 Today on One a Day is a personal favorite - the blatantly cool Scizor! As One a Day features styles from all over, I’ve been saving one of my all time favorite artists, Yoji Shinkawa of Metal Gear fame, as inspiration for the mechanically engineered illustration you see before you. Yoji Shinkawa is the man who brought us all those beautiful ink paintings and illustrations that have graced Metal Gear box arts and was the blue prints for all the incredible mechanical designs the series have brought us (except the Gekko from MGS4, blech). I’m well versed in his work and so when it came to producing the piece, I ended up amalgamating the phases he’s gone through in his growth as an artist. A major influence and source of inspiration outside of MGS used is of course Zone of the Enders, also illustrated/designed by Shinkawa. Jehuty was a great base to build a core design of my Scizor for, and I can’t forget Metal Gear Ray as a secondary point of reference throughout this. Before I really got into the nitty gritty, I played around with multiple silhouettes to help narrow down how I would illustrate this entity. I hate looking at them but that’s what exploratory sketches are for. I tried out different weapons and thematic designs and began to mix and match parts in my head for the final design. What I knew for sure was that the Scizor I was going to introduce in this form was going to be a cross between it’s normal form and Mega. The Mega stands throughout the illustration with the headcrest and grey plates for arms and legs, as well as the overall style of legs as well. I used the pincer stylings as well to house the chainsaw weapon as well, while the normal regular pincer can retract back and reveal a hand for more specific use as well as other equipment like scythe in homage to its first form. For its head, I gave him a total of 6 eyes as a callback to his insect roots (although Mantis have more than that) but it also just makes him look cool as hell. His wings are replaced by boosters that jut out heat that I stylized as geometric shapes again inspired by Shinkawa. The Shinkawa style is pretty hard to get down, and I’m not sure how well I did so let me know! I found and downloaded ink brushes for Photoshops and read several interviews with Shinkawa in an effort to try and think like him for the piece. Thanks guys for tuning in as we start a new week of the series...Last week ended abruptly due to Indian wedding which of course was held over several days. I’ve had a day to recharge so I’m ready to go for this week. QOTD: What other Pokemon would make a good mech? Explain why and describe it’s design/purpose. Be sure to make different selections from your neighbor’s responses!